Curly hair is like a fine fabric, and taking care of it is different from straight hair. 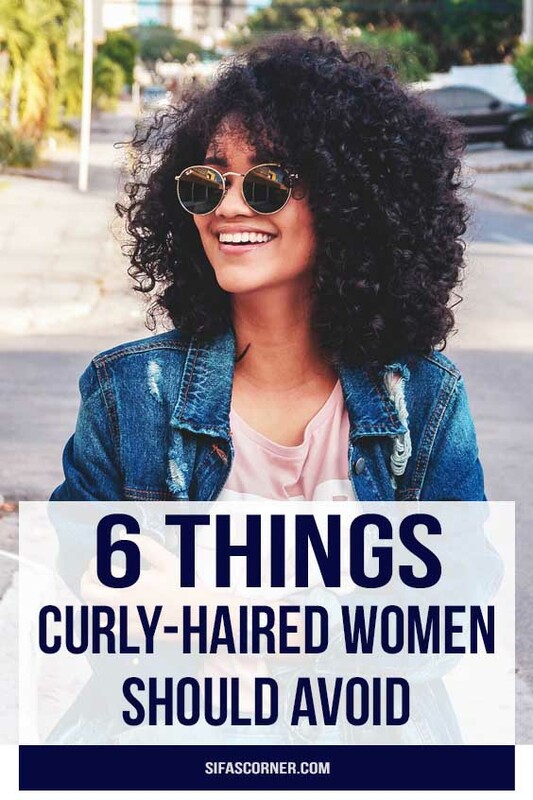 Curls are more delicate and need lots of moisture, so oftentimes the things we see women doing in hair commercials isn’t at all what we should do with our curly hair. We want to have the best possible curls so we can rock them with confidence. Here are 6 things curly-haired women should avoid (and what to do instead). Brushing curly hair is a bad idea. Besides disturbing the curl pattern and pulling the spirals apart, tugging on your hair with a brush is likely causing breakage, and breakage equals frizz. The best way to detangle is with your fingers in the shower, while your hair is soaking wet and covered in conditioner. 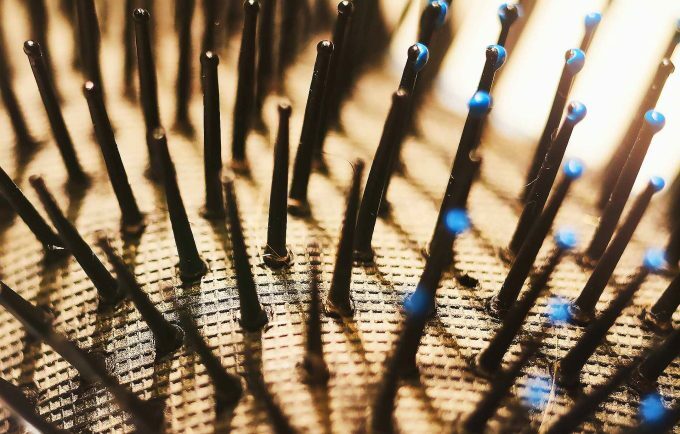 If you really feel like you need to use something besides your fingers, try a wide-toothed comb (still in the shower with soaking wet hair and lots of conditioner). Start from the ends and work your way up, but above all, be gentle. Curly-hair products are often filled with silicones, which are plastic-like substances that coat the hair. Silicones can temporarily make your hair less frizzy and shinier, but that’s because they leave a coating on your hair. Over time, this coating builds up and keeps moisture from getting into the hair shaft, and moisture is essential for healthy, springy curls. Silicone ingredients tend to end in -cone, -xane or -conol, so keep an eye out for those in your hair products. Sulphates are the chemicals that make bubbles in shampoo, but they’re really drying, and as we know, curly hair needs lots of moisture. 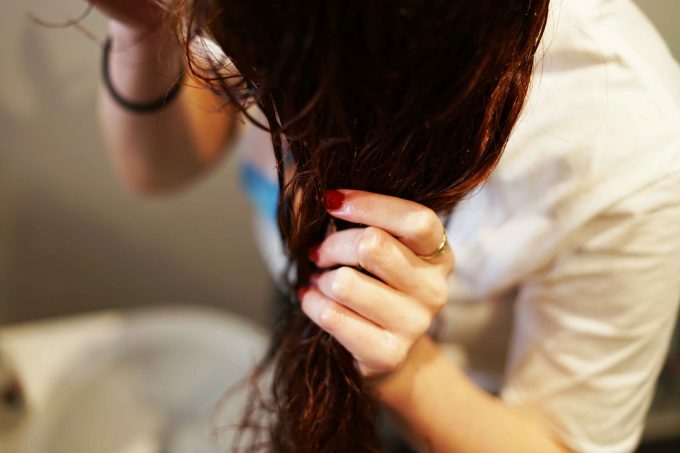 This is why women with curly hair should wash their hair once or twice a week, although they may have to re-wet it a few other times to re-style. (Getting multiple days out of your hair is one of the major perks of having curls.) But the truth is you don’t even need sulphates to get your hair and your scalp clean. 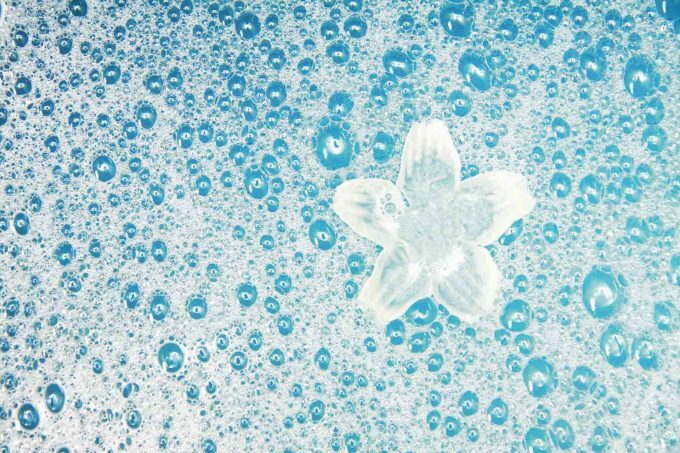 We often think the bubbles are what gets our hair clean, but it’s really the scrubbing process. Many curly-haired women wash their hair with conditioner (a practice called co-washing, or conditioner-only washing), in which you scrub the scalp well with lots of conditioner and your fingertips for at least 5 minutes. This process really only works, however, if you are using products without silicones, because as we know, the silicones will build up on the hair, and the only thing that will get silicones out is sulphates. 1) They draw out too much moisture. Terry cloth is made to absorb lots of water, and you want to leave some in your hair. 2) All those little finger-like loops? 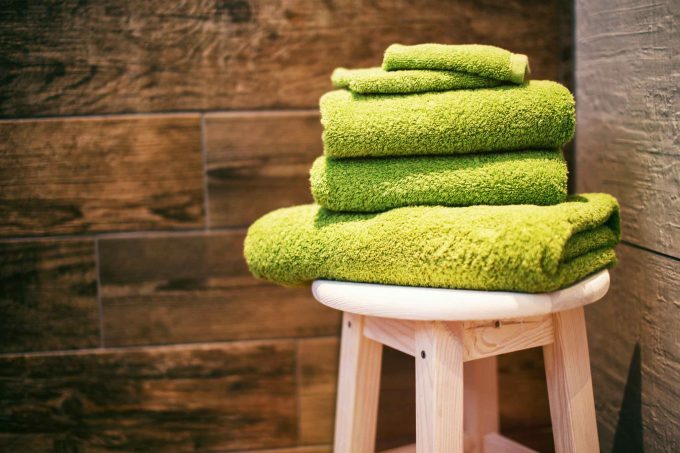 They reach out and grab onto individual hairs, and when you move the towel away from your head, the individual hairs are pulled away from their curl clumps, which causes frizz. Use a T-shirt or a microfiber towel instead, and don’t rub your hair, just scrunch gently. If you want to straighten your hair every once in a while, go for it. But using too much heat, whether from a straightener or a blow dryer (even if you’re using a diffuser) repeatedly, can dry out your curls and cause damage. That leads to breakage, frizz, and straw-like hair that won’t curl the way you want, and it’s not always easy to get those curls back. No two heads of curly hair are the same, and more often than not, even one head of curly hair doesn’t even have all the same type of curls. Some of them may be more wavy and elongated, others more tightly coiled. And you never really know what they’re going to do until your hair is dry. We don’t spend most of our time with wet hair, so why not get the haircut while it’s dry when it looks like it does most often? Getting your hair cut dry will allow your stylist to see how each curl forms — which are tighter, which are wavier, where they fall — and tailor your cut to your specific curls. Make sure you do your research on stylists who are trained in curls and dry cutting. There’s an article in Curl’s pilot issue about how to find a curly hair stylist and what to ask them before you commit. So follow these 6 steps and flaunt your curls! If you have any curl-secret, share it in the comment section below. 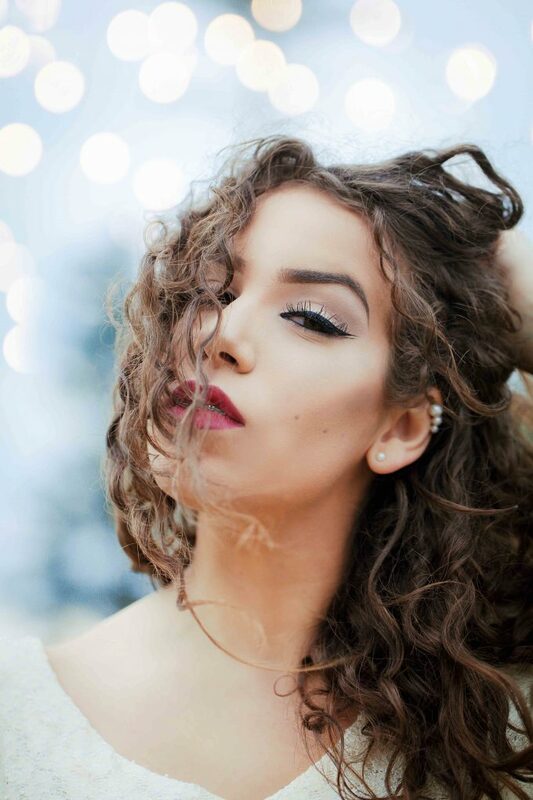 Would you like to know how to style wavy-curly hair? Check out this previous article here. Stephanie Hinderer is the founder and editor-in-chief of Curl, the new print magazine that’s inspiring curly-haired women to embrace their curls and themselves, and teaching them how to take care of their hair. Get the pilot issue free at ReadCurl.com, and find Curl online on Kickstarter, Instagram, and Facebook.